On the days when all you can see are the unfinished projects, the messy corners, and the incomplete areas of your life...turn your eyes to the finished work of the Cross, the clean slate you have in Him, and the complete freedom that is yours through His blood. 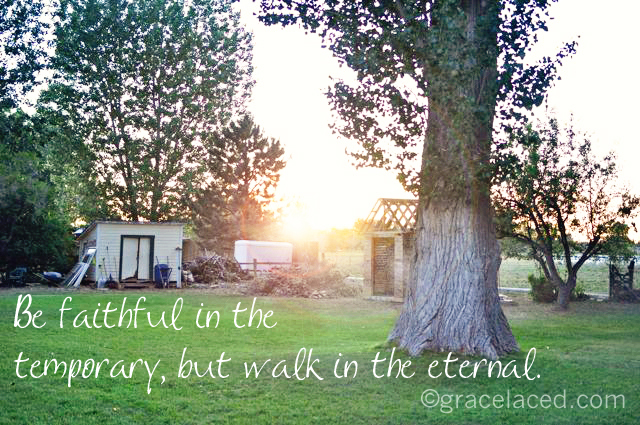 Be faithful in the temporary, but walk in the eternal. Walk in the eternal, friends...everything changes, except Him. I'm so blessed that you're here! I invite you to subscribe to GraceLaced!